Power protection designed to protect valuable equipment such as desktop computers, file servers, network devices, security systems, and voice communications equipment is available from the Minuteman Entrepid Series of uninterruptible power supplies (UPS) from Para Systems. 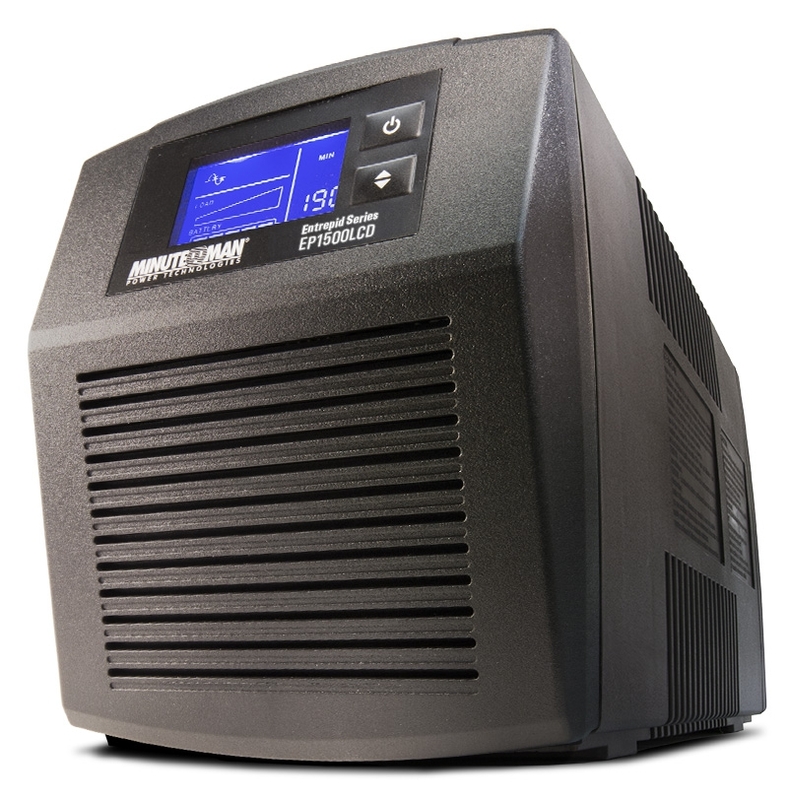 The Minuteman Entrepid Series provides critical battery backup during power outages. The Entrepid Series utilizes Automatic Voltage Regulation (AVR) technology to protect connected equipment from power brownouts and over-voltages, while also incorporating surge and spike protection. These new models also provide critical battery backup during power outages. The product line includes four models ranging in capacity from 500VA to1500VA. The LCD display on the Entrepid Series enables users monitor all aspects of the UPS and utility power at a glance. The LCD shows power condition status, estimated battery backup time, battery capacity, total load, as well as other conditions. Coupled with the LCD display, users have the ability to monitor power conditions via Minuteman’s SentryHD power monitoring software. Minuteman’s Entrepid products feature six on-battery receptacles, including two that are transformer-friendly, as well as two surge-only receptacles.